Rhea Rosalie Bouchard was the first of four daughters born to Honore and Rhea Bouchard. Rhea’s parents had settled in Manville, RI. from upstate New York in 1940 because Honore had found employment in the local textile mill, the Manville Jencks. Being transplants to a village of French Canadian residents who all appeared to be related to each other left Rhea feeling on the outside looking in. If you add this to the fact that her parents opted to speak English in the home and then enrolled her in a French speaking convent school you can understand that she grew up very close to her parents and sisters. Rhea attended St. James Parochial School where she did well academically. She began to write poetry while a student at St. James and received high praise from the nuns (not an easy feat). Rhea made friends easily and has maintained many of the friendships that began in her grade school days. She became an avid reader very early on and it is probably still her favorite pastime. Rhea is a Cumberland High School graduate. She married in 1961, and shortly after her fourth child was born, Rhea enrolled in the nursing program at Rhode Island Junior College (now the Community College of Rhode Island). 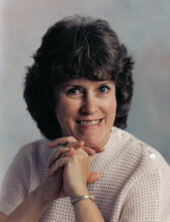 She graduated with an Associate Degree in Nursing in 1975 and was hired as a registered nurse at Fogarty Memorial Hospital, where she specialized in orthopedic nursing. While working at Fogarty, Rhea began writing a weekly column for the Woonsocket Call. Her column quickly became popular. She eventually moved on to the Valley Breeze. Around the same time that Rhea started writing her weekly column she began volunteering at Adopt-a-Family, where she is a member of the Board of Directors, and is a past President and Vice-President.